When Panchamlal Mahto was a toddler, he would frequently squat and poop as the urge took him irrespective of where he was. His mother would take a handful of ash and sprinkle it over the 'gift'. The ash would absorb the liquid, enabling the whole mess to be easily swept away. Back then, Vinita was still not born. 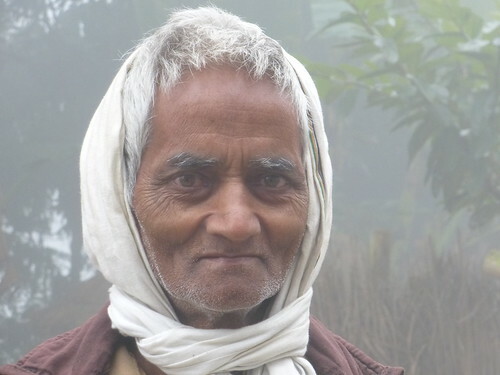 By the time she made her appearance into this world a little over two decades ago, Panchamlal was a middle-aged staid householder. Today this unlikely pair is at the forefront of an incredible social revolution that takes what we consider to be a nuisance and turns it into wealth- alchemy at its finest! Vinita works with Water Action, a partner of Megh Pyne Abhiyaan, which is an organization working on water and sanitation issues in Bihar. They advocate the use of Eco-san toilets, or as they are dubbed in the region 'faaydemand sauchalaya' – the profitable toilet. These toilets work on a very simple principle. They separate urine and faeces- the urine is collected into a removable jar, to be used as liquid fertiliser. The faeces, which contain bacteria, are collected in an underground chamber to compost. Urine is not only rich in nitrogen and other nutrients but also gratifyingly sterile, so immediate use on food crops is possible. The addition of ashes in lieu of water after use removes odour and excess moisture. It also adds potash to the final product. The pan used in the toilets, with its separate outlets for urine, faeces, and ablution is a relatively new product but the concept behind it is as old as civilization itself. For as long as they have been sowing seeds into the ground, humans have been using human manure to fertilise their fields. It is poetic in a way, since the process returns nutrients to the exact fields from where the farmer's family obtained them in the first place. The invention, promotion, and acceptance of flush toilets and water-based sewerage systems is a fascinating story, but here it is enough to say that the sewerage technology robbed the fields of what was their due. The faaydemand sauchalaya tries to restore justice. It's an idea that makes perfect sense but when Vinita began speaking to the villagers about the toilets, she found that they had developed a mental block against using 'unclean' matter. People were reluctant to collect their urine and apply it to the fields, and reluctant to compost their faeces and use it as manure. It did not matter that they were doing it anyway when they would relieve themselves in the fields but the systemic harvesting of waste made them squeamish. Thankfully for the village of Rupauliya, Panchamlal did not turn away with a shudder when Vinita approached him with her description of the 'faaydemand sauchalaya'. He stopped for a minute and remembered what his mother had done when he defecated in the middle of their house; he thought of how he and his wife would follow the same process before their own children were toilet-trained. So he became the first person in the village to construct an eco-san toilet. His neighbours saw the convenience and profit that Panchamlal obtained from his toilet. He no longer had to scurry out of the village every morning, and his kitchen garden could make anyone green with envy. Today, 31 of the 38 households in the village have and use eco-san toilets. The others have either migrated, or have no space near their homes. When I spoke with Panchamlal, I asked him if the prospect of using human waste did not make him squeamish. He looked at me and explained confidently and deliberately that it is happening anyway. If there are no toilets, people defecate in the open, and then the faeces get washed into the fields. The toilets make the process safe, especially in times of floods. Also, the compost is applied to the roots; it never touches the edible parts of the plant. When I asked him if he also spoke to his neighbours as convincingly as he spoke to me, he smiled at me and said. "If I hadn't, would all this have happened?"